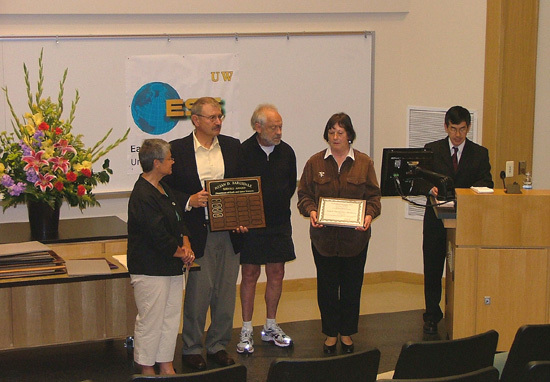 The 2008 Honors and Awards Ceremony was held on Thursday May 22nd at 3:30 pm in JHN-102, hosted by ESS Chair Robert Winglee. There were numerous honors, awards, and scholarships given during this ceremony before adjourning to a reception in the Johnson Hall Lobby. 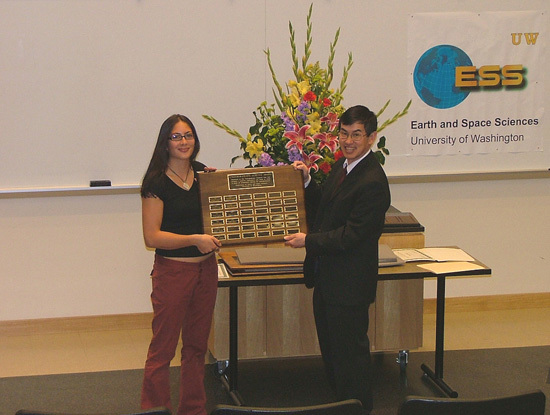 Suzanne Cruchon receiving the Undergrad Service Award from George Robert Winglee. 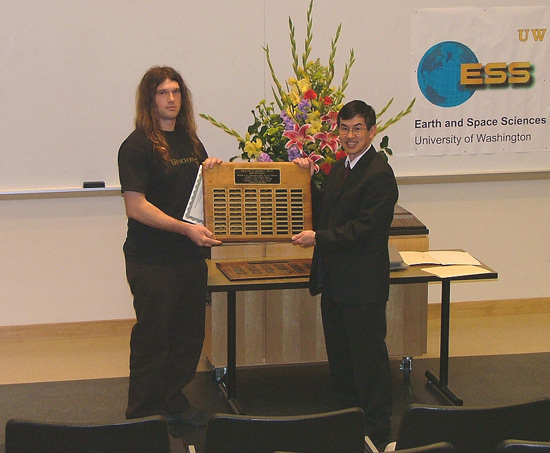 Missing from photo is Dyan Padugas Elias Bloch receiving the top undergraduate Merrill Prize from Robert Winglee. 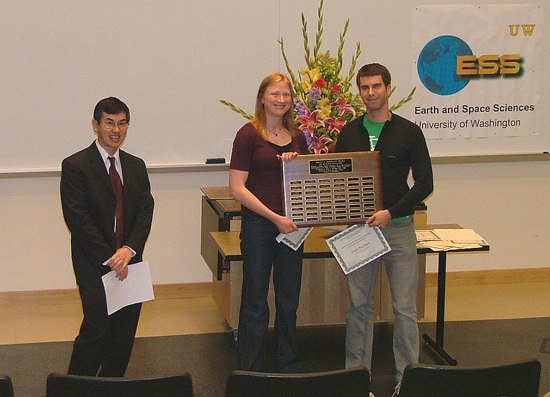 Joseph MacGregor and Emily Mullen receiving the top graduate student Johnston Prize from Robert Winglee. Missing from photo is co-winner Phillip Ruprecht. 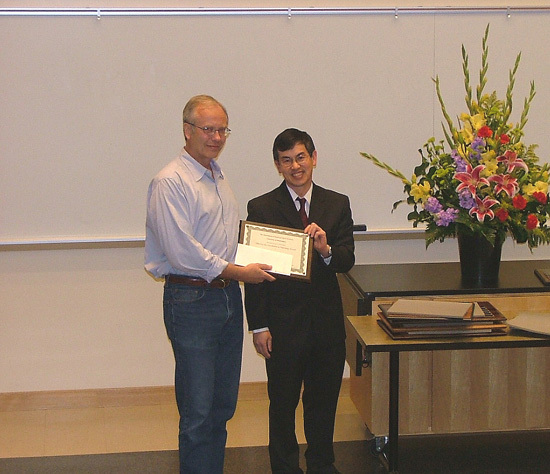 Bruce Nelson receiving Teaching Excellence Award from Robert Winglee. Sara Throckmorton and Joe Vance receiving the Barksdale Service Award from Robert Winglee and Tucker Barksdale.